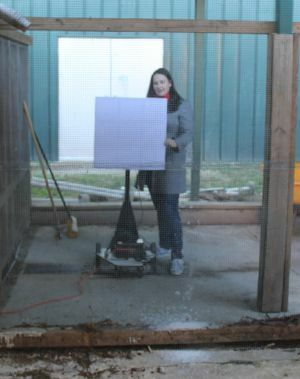 The initial testing of Sonic Nets was performed at the College of William and Mary's aviary using wild-caught starlings. 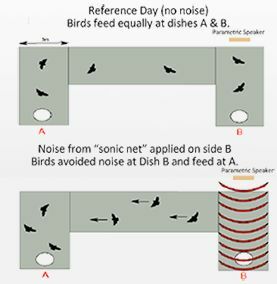 The sonic net was deployed over one food patch while leaving another food patch unaltered, and assessed the birds presence and feeding for three consecutive days. The sonic treatment decreased the starlings' presence at the treated food patch, on average by 46 percent. The results of this peer reviewed study were published in Wildlife Society Bulletin 2015. This publication may be viewed at the following link. Using a "sonic net" to deter pest bird species: excluding European starlings from food sources by disrupting their acoustic communication. Mahjoub, G.*, Hinders, M. H. and Swaddle, J. P.